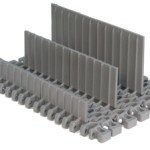 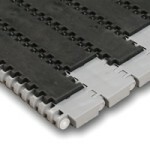 Plastic link style belting is utilized with the standard DynaCon Modular Conveyor System. 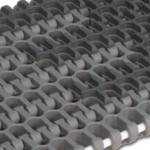 Our plastic conveyor belting is self-lubricating, requires no maintenance, and is easy to clean and repair. 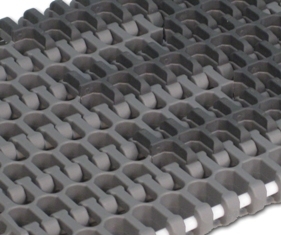 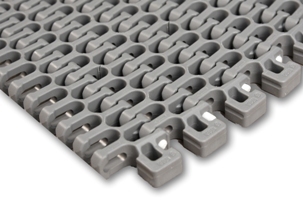 Injection-molded plastic belting modules are interlocked by plastic rods, which provide belt strength and durability. 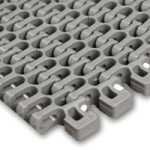 Damaged belting sections can be easily and inexpensively replaced. 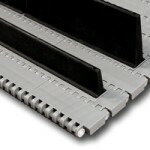 Belting configurations can be easily modified. 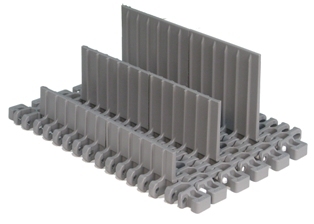 Drive flights (cleats) can be inserted or removed at any time. 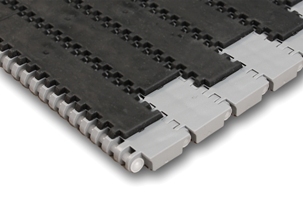 Positive sprocket drive and tracking with the plastic link style belting eliminates slippage and edge damage. 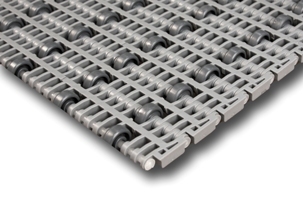 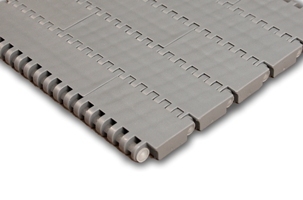 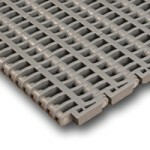 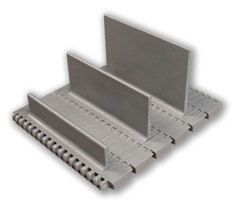 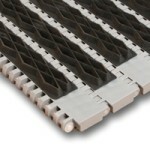 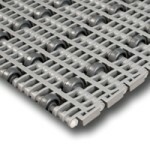 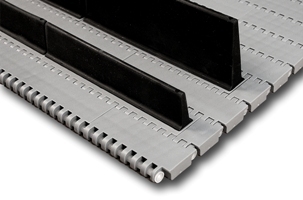 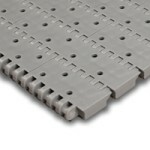 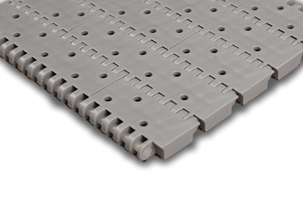 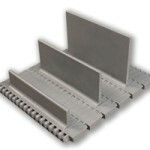 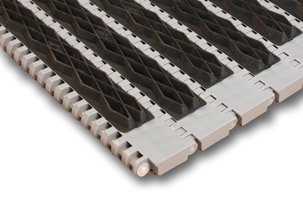 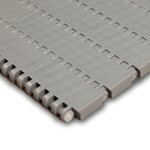 Conveyor belts are available in widths to fit all DynaCon modular conveyors. 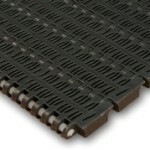 Varying conveyor belt styles and materials are available for all DynaCon conveyor systems.